Stokrocki, M 2013, ‘Youth-Created Avatars, Sites, and Role-Playing in the Virtual Game The Sims 2’, Visual Arts Research, 2, p. 28, Project MUSE, EBSCOhost, viewed 6 January 2014. This study examined how five adolescents learned about and played a digital game, The Sims 2. 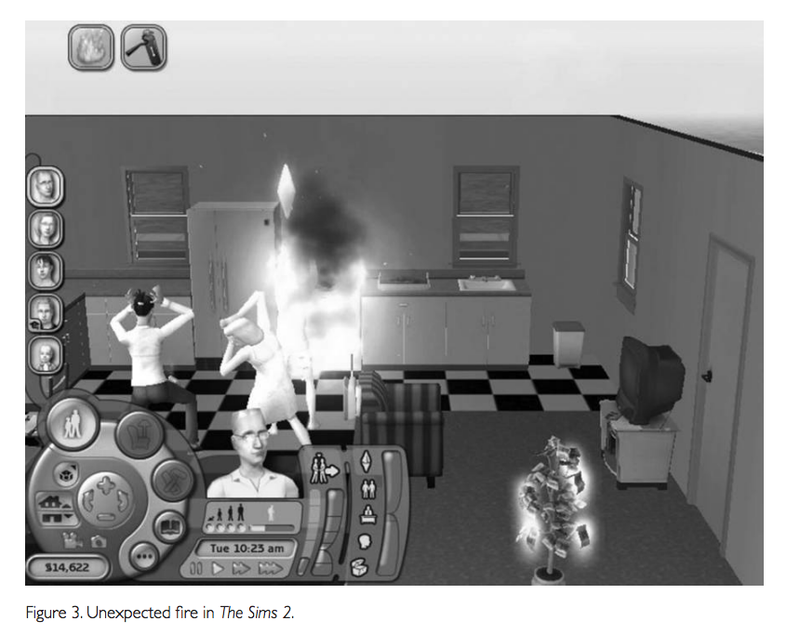 Through participant observation, I examined participants’ aesthetic preferences, spatial practices, learning strategies, and storytelling within The Sims 2. The context of this study was a 10-week summer day camp held in a working-class Arizona community. Findings describe participants’ avatar and building designs, strategies for making quick spatial decisions, and tool choices. Set within a visual and material culture art education framework, and with attention to the need for teachers to engage in media literacy education, the study contributes to previous research on gaming sites, virtual realities, and media education.